All of the services provided by the HSE to the public are delivered through four regions - Dublin Mid Leinster, Dublin North East, West and South. A list of these hospitals by region can be found here. All HSE physiotherapy positions are currently filled from a National Basic Grade Physiotherapy Panel. This panel has been in existence since 2008, following a national interview process for qualified basic grade physiotherapists and physiotherapists who were due to graduate in 2008. No further interviews have taken place since 2008. It is hoped that a national interview process for basic grade physiotherapists would take place in 2011, although there has been no set to date for this to occur. The application process would be similar to the 2008 recruitment drive, candidates would fill in a standard application form which they would be sent, and would later be scheduled for interview. Physiotherapists would have to demonstrate that they had a degree from one of the Irish Universities, or an equivocal degree, and be eligible to ISCP registration to apply. A new recruitment drive would allow physiotherapists who have graduated in 2009 -2011 an opportunity to take a place on the national BG panel following a successful interview. 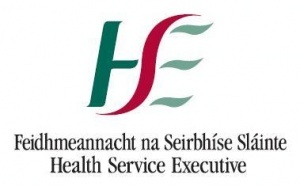 Any new HSE recruitment drive will be advertised under www.careersinhealthcare.ie, and in the major broadsheets. The ISCP will also be aware of any national basic grade recruitment drive.